Arunachala Thou dost root out the ego of those who meditate on thee in the heart, Oh Arunachala! 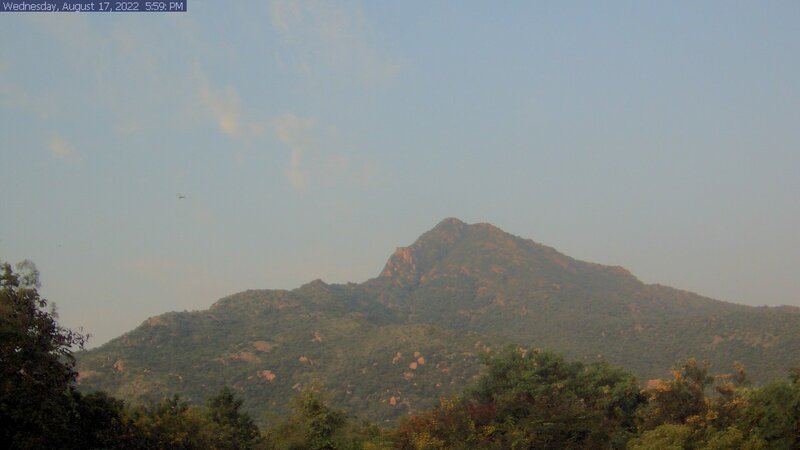 We are pleased to show once again the live camera image of Arunachala. With the help of devotees a new camera has been brought from the U.S and is now installed. We wish to thank them for their efforts in bringing Arunachal-live back online for the benefit of devotees worldwide. Thyself regard me out of Thy Grace and dispel my illusion! Unless Thou do so who can intercede with Thee on my behalf, O Arunachala?